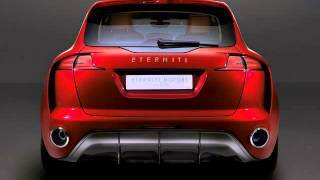 In case you've previously heard about a Super-SUV concept dubbed Hemera back in 2011, you'll be pleased to know that the UK luxury carmaker Eterniti Motors has finally revealed the production version of the Hemera, now called the Artemis. The Eterniti Artemis 2013 is based on the Porsche Cayenne Turbo and has been developed with the help of ex-Formula 1 driver Johnny Herbert alongside the new Eterniti employee and ex-Jaguar engineer Alistair Macqueen. Under its bonnet the Artemis conceals the same 4.8 liter V8 engine found in the Cayenne Turbo, but because Eterniti engineers tuned up the unit, the V8 is now able to develop roughly 600 horsepower and 553 lb-ft of torque. The top speed of the Artemis is 180 miles per hour and it can go from 0 to 60 in just 4.5 seconds. 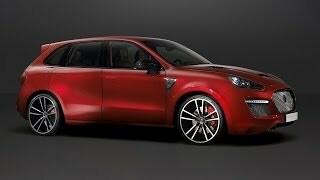 Furthermore, unlike the Cayennethe suspensions found in the new Eterniti have also been lowered and gives a sportier ride than the Porsche, and sports a new, unique set of 23 inch super-lightweight alloy wheels. The exterior of the Artemis shares many design elements with the Porsche Cayenne but at the same time it's different enough to know you're not looking at a Cayenne from a distance. I find interesting that the front grille of the Artemis resembles that of a Jaguar XJ rather than that of a Cayenne. On the interior the Artemis 2013 focuses greatly on delivering luxury to the rear passengers, offering a couple of individual seats that can be moved back in order to increase legroom by up to 100 mm. The seats are both heated and cooled and in addition the rear seat passengers have access to an iPad holder and a coolbox. Leather and wood are abundant on the interior trimming and state-of-the-art technology including a top-notch audio system and navigation are not missing. Price and availability wise the Artemis is set to go into full production this summer with deliveries in UK, China Taiwan and Japan beginning later this fall, at the base price of £210,000 (roughly $340,000). Unfortunately the London-based automaker has not revealed any future plans concerning availability in the US. 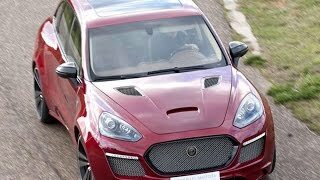 As far as the competition goes, Eterniti Artemis 2013 is planned to be a main competitor of the Bentley EXP 9 F, Lamborghini's new SUV dubbed Urus as well as Maserati's Kubang. That's one tough competition. Let's hope the Artemis will be able to cope with it.